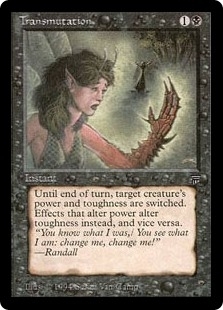 Telekinesis ($35.00) Price History from major stores - Legends - MTGPrice.com Values for Ebay, Amazon and hobby stores! 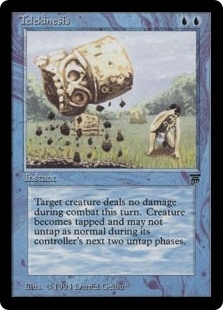 Card Text: Tap target creature. Prevent all combat damage that would be dealt by that creature this turn. It doesn't untap during its controller's next two untap steps.